Christmas Decorations for Home-Office. 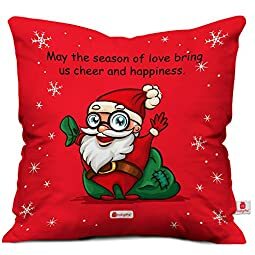 A Printed Cushion Cover with Filler can be used as Xmas Gift, Party, New Year, Home Decor, Gift for Men, Women, Husband, Sister and Friend. 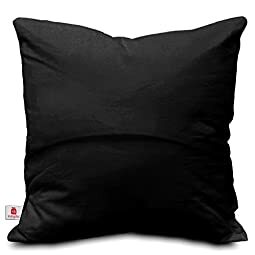 PACKAGE CONTENT: 1 Printed 12x12 Cushion Cover, 1 Vacuum Packed Conjugated Fiber Filler (180 Gms approx filling), PLEASE FOLLOW Filler Instruction Manual | SIZE: 12x12 inches / 30x30 cms. 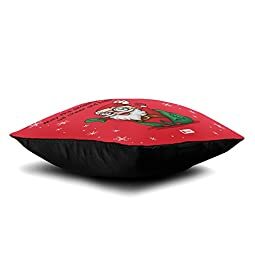 FABRICATION/MATERIAL: Soft Poly Satin | Black Colored Cotton Overlap Envelop Backing | Outline Seam Stitch | Interlocked from inside. WASH CARE: Hand wash normal in cold water | Tumble dry low | Warm Iron as needed | Do not Bleach or Soak. 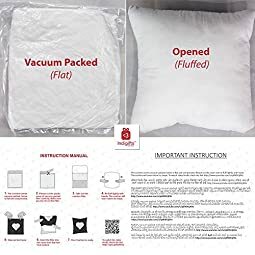 FOLLOW FILLER INSTRUCTION MANUAL - Cushion Filler comes Vacuum Packed, hence is flat and compressed. Please cut the cover and re-fluff lightly with hand. The cushion will soon retain its shape. Do Not Wash the Filler. 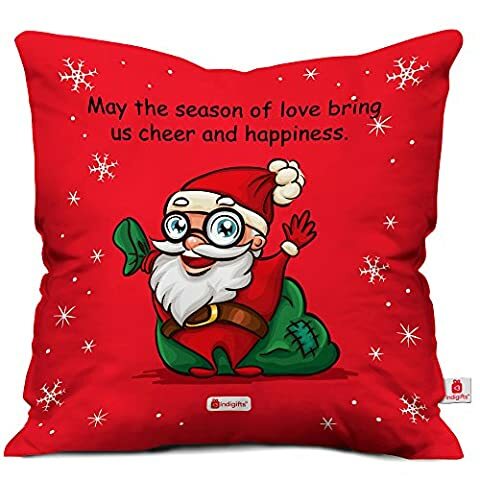 HAPPY BUYING: We at indigifts, always tend to deliver happiness :), if there is any problem, let us know first via ASK SELLER in your order page | Exclusively designed and distributed by indibni™.